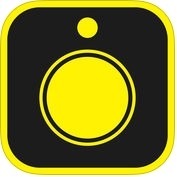 Are you looking for manual camera apps for your iPhone? Do you want DSLR like camera app for your iPhone? Do you want to take photos like a pro with your iPhone? If your answer is YES, then this article is for you. Here, you can see the list of 10 best pro camera apps for iPhone, iPad and other iOS devices. You can install any of these camera apps, according to your needs. These DSLR like camera apps work very well and lets you shoot photos like a pro. There are thousands of camera apps on Apps Store, but here we have listed only the best manual camera apps which gives you DSLR like control on your iPhone. If you want to take incredible photos, and make your photographs amazing and attractive like a professional photographer, use any of these professional camera apps on your iPhone. 1. 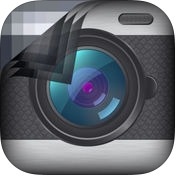 Obscura Camera ( iPhone + iPad ) :- Obscura Camera app is one of the best professional camera apps for iPhone and iPad. This camera app has lots of amazing and user-friendly features such as focus controls and exposure controls (quickly lock with a single tap), controls easily to set the camera sensitivity, filtered, RAW and live photo capture, pinch to zoom, focus peaking, 20+ gorgeous filters, quick access to filters and more. 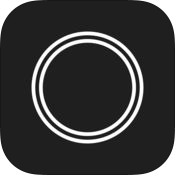 If you are note satisfied with the default camera app of your iPhone, and looking for a full-featured camera app for your iPhone, Obscura Camera is for you. 2. 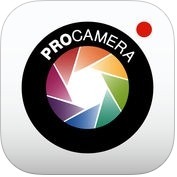 ProCamera. ( iPhone + Apple Watch ) :- With the help of ProCamera. app, you can take your impressive and professional looking photos on your iPhone. This is one of the best and effective camera apps that are available for iPhone and Apple Watch. 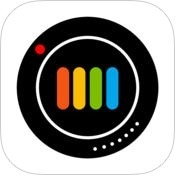 ProCamera app has several unique features such as HD & 4k VIDEO, special camera modes, square and widescreen, full resolution photo preview and metadata viewer, share options and other useful features. You can also swipe seamlessly and edit professionally to adjust, crop, refine and retouch your photos on iPhone and Apple Watch. 3. ProCam 4 - Manual Camera + RAW ( iPhone + iPad + Apple Watch ) :- If you want to make your photos unique and professional-looking, you can use ProCam 4-manual Camera + RAW app on your iPhone, iPad and Apple Watch. This camera app has lots of fantastic and user-friendly features such as Intelligent 3 shot HDR, adjustable aspect ration, pause or resume video, still photo capture during video recording, RAW & RAW+L, high resolution video support up to 4k, more than 18 comprehensive adjustment tools, more than 50 expertly crafted filters, ability to add background music and more useful features. 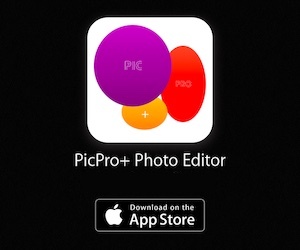 You can also easily edit your photo or video with the help of photo / video editor extension on your iPhone and iPad. 4. Hydra - Amazing Photography ( iPhone + iPad + Apple Watch ) :- This camera app is one of the best and impressive professional HDR camera apps for iPhone, iPad and Apple Watch. With the help of Hydra-Amazing Photography app, you can take beautiful photos even in the most difficult lighting conditions. This camera app has several amazing features such as 8-megapixel sensor limit, with up to 32-megapixel high resolution images, 5 specific capture modes, zoom mode uses real-time more. 5. Manual – RAW custom exposure camera ( iPhone + iPad ) :- If you are looking for a professional camera app that lets you to do manual adjustment camera setting on your iPhone, you can use Manual-RAW custom exposure camera app. It is very powerful, simple and intuitive pro camera app. With the help of this camera app, you can adjust all parameters of your photo quickly and easily on your iPhone. This camera app has several excellent features such as exposure compensation, full RAW DNG capture, focus zoom, light & dark themes, live monitor automatic exposure values and more. 6. 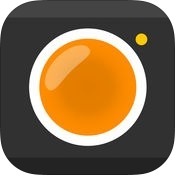 ProShot - RAW, DSLR Controls & Video ( iPhone + iPad ) - Do you want to be a brilliant professional photographer? If yes, you can use Proshot-RAW, DSLR Controls & Video app on your iPhone and iPad. This camera app has lots of amazing and useful features such as auto, program, manual & two fully configurable custom modes, automatic control over exposure, shot full resolution, shoot RAW, 3d level with 5 different modes, manual focus assist, record video in any mode, 4k video, adjustable resolution and frame rate, real-time audio levels meter and more. You can also zoom with just one finger up to 50X and customize accent color on your iPhone and iPad. 7. Camera+ ( iPhone + Apple Watch ) :- This camera app is one of the best, effective and professional camera apps for your iPhone and Apple Watch. with the help of this Camera+ app, you can make your photo more impressive and wonderful. 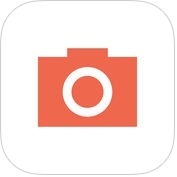 This camera app has a lot of amazing features such as touch exposure & focus, unique shooting modes & digital zoom, clarity, horizon level, scene modes, front flash, lightbox & iCloud lightbox sync, captions, borders etc. You can also make your photos shimmer with built-in HDR feature of this app on your iPhone. 8. 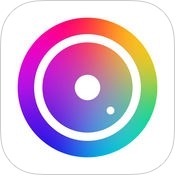 Hipstamatic ( iPhone + iPad ) :- With the help of this camera app, you can shoot beautiful and wonderful photo and be a professional photographer. Hipstamatic app has several exclusive and user-friendly features such as multiple exposure to shoot multiple images in one shot, pro camera, manually control focus, shutter speed, classic lens, film and flash, crop, clarity, fade, texture, more than 10 world-class presets and more. You can also edit with darkroom suite more than 20 professional adjustment tools on your iPhone and iPad. 9. 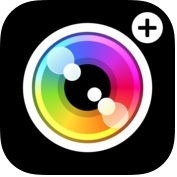 Cortex Camera ( iPhone + iPad ) :- If you want to improve quality of iOS device's camera, you can use Cortex Camera app. It is one of the best and excellent camera apps for your iphone and iPad. This camera app has several unique features such as professional exposure control, advanced image processing techniques conbine information from multiple frame to remove noise and increase resolution, supports JPEG or TIFF file formats and more useful features. 10. 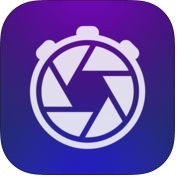 Slow Shutter Cam ( iPhone + iPad + Apple Watch ) :- If you want to shoot beautiful photos on your iPhone, iPad and Apple Watch, you can use Slow Shutter Cam app. With the help of this camera app, you can get DSLR like shutter speed control on your iOS devices. Slow Shutter Cam app has amazing features such as motion blur (like ghost images, waterfall effects etc), light trail, real time live preview, option to resume capture, unlimited shutter speed & manual ISO, tap to adjust focus or exposure, full resolution support, and more. You can also capture exceptional photos in low light conditions with this professional camera app on your iPhone and iPad.